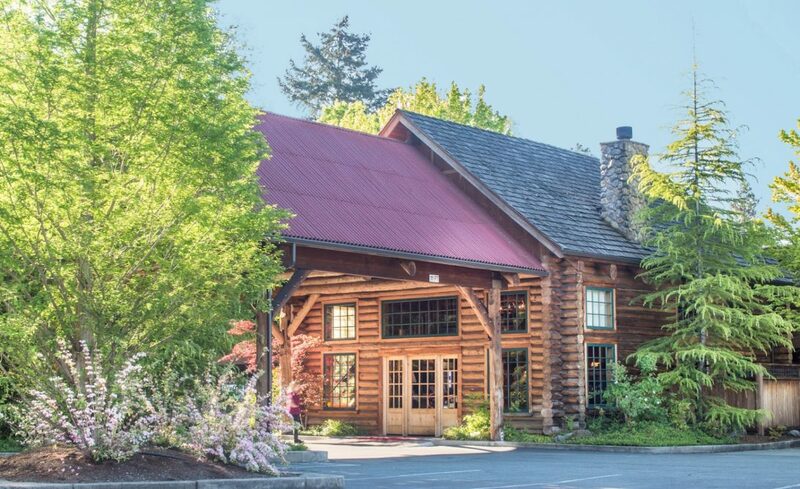 The Lodge at Riverside is located along the banks of the scenic Rogue River, just 2 miles from Interstate 5, in downtown Grants Pass. Our central location is convenient to Hellgate Jetboat Excursions, downtown shopping, Historic G Street and Applegate & Rogue Valley wineries. Day trips to Crater Lake National Park and the Oregon Caves National Monument are easily accessible. We offer 33 oversized guestrooms and suites, most with private patios or balconies facing the Rogue River. All rooms feature pillow top beds with feather duvets, robes, irons and ironing boards, hairdryers, coffee makers, and refrigerators. Complimentary parking, wireless Internet, flatscreen cable TV with HBO and local phone calls are also included. All rooms are air conditioned. All accommodations include an evening wine & cheese reception, fresh baked cookies and a full breakfast daily. The Lodge at Riverside also offers meeting and event facilities for up to 350 people. Enjoy the space and luxury furnishings of the finest hotel in Grants Pass, Oregon. When a regular room isn’t special enough, spend the night in beauty and abundance. Your oversized suite is not only spacious, it’s elegant and cozy. The suite offers luxury and comfort while the river view provides the tranquility. Enjoy curling up by the fireplace and reading a book, or relaxing on your own private balcony while sipping a glass of one of Southern Oregon’s finest wines. Relax and restore yourself in the beautiful Jacuzzi tub. Whether you are a first time or a return guest to The Lodge, your visit will be enhanced by the quality of your surroundings. Visit The Lodge At Riverside website to select your accomodations and book your room online.